A cool and funky bedside lamp table that comes as part of our fantastic Chicago Range. 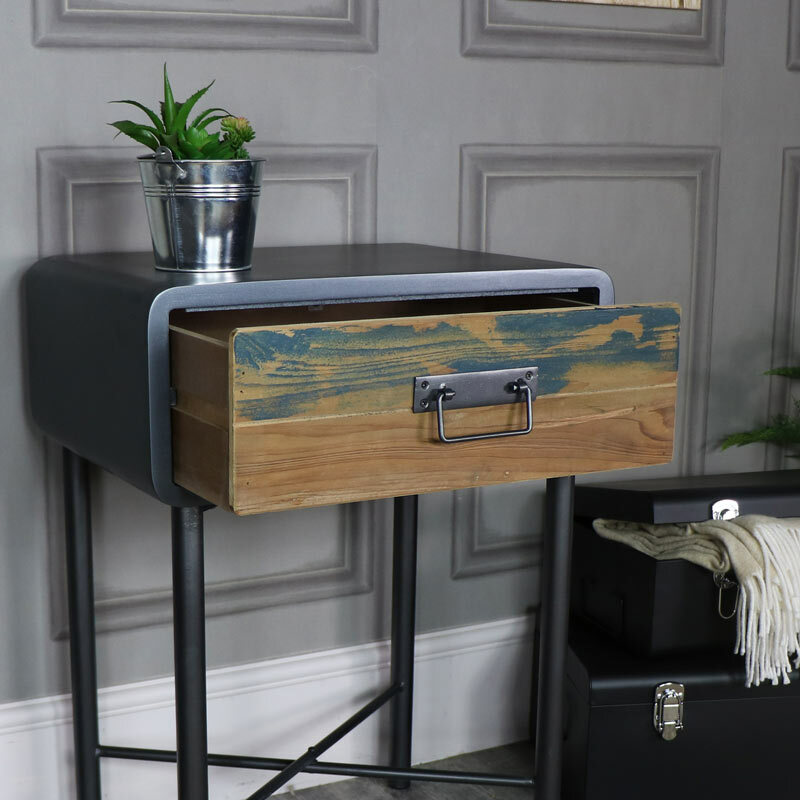 With a metal frame, and painted wooden drawer, this funky piece of bedroom furniture is the perfect storage solution for your vintage home. Featuring 1 drawer for storage, this table is stylish and incredibly practical. Perfect for the bedroom as a bedside table or in the living room as a lamp or side table. So many uses, the choice of where to home this delightful piece of furniture is all yours. 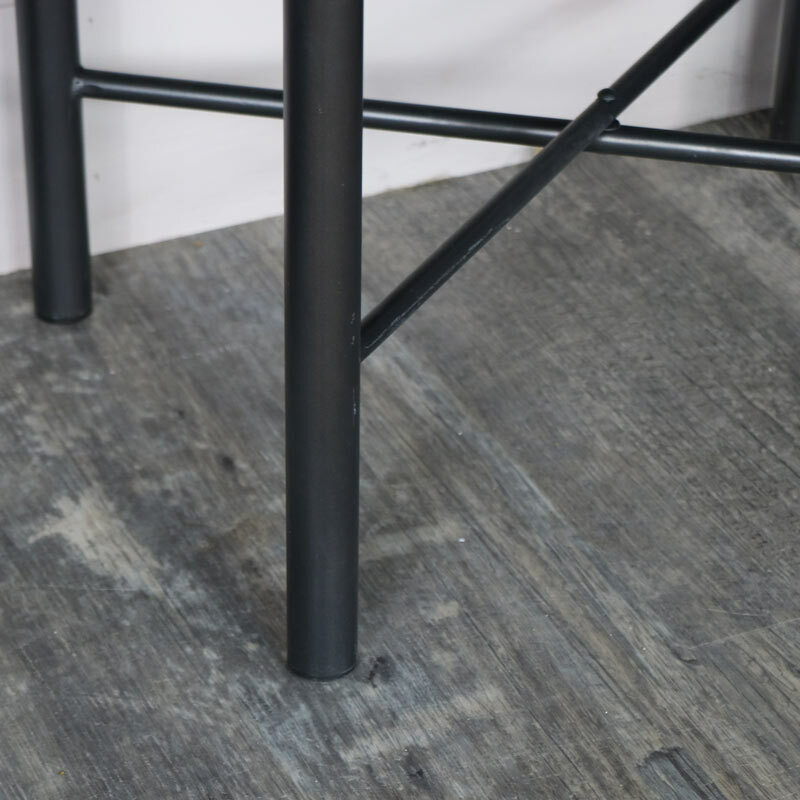 The frame is painted in a black finish with the drawer front is made from reclaimed wood which helps to give a weathered look that added with the stripped paint effect makes this range so unique. A cool and funky bedside lamp table that comes as part of our fantastic Chicago Range. 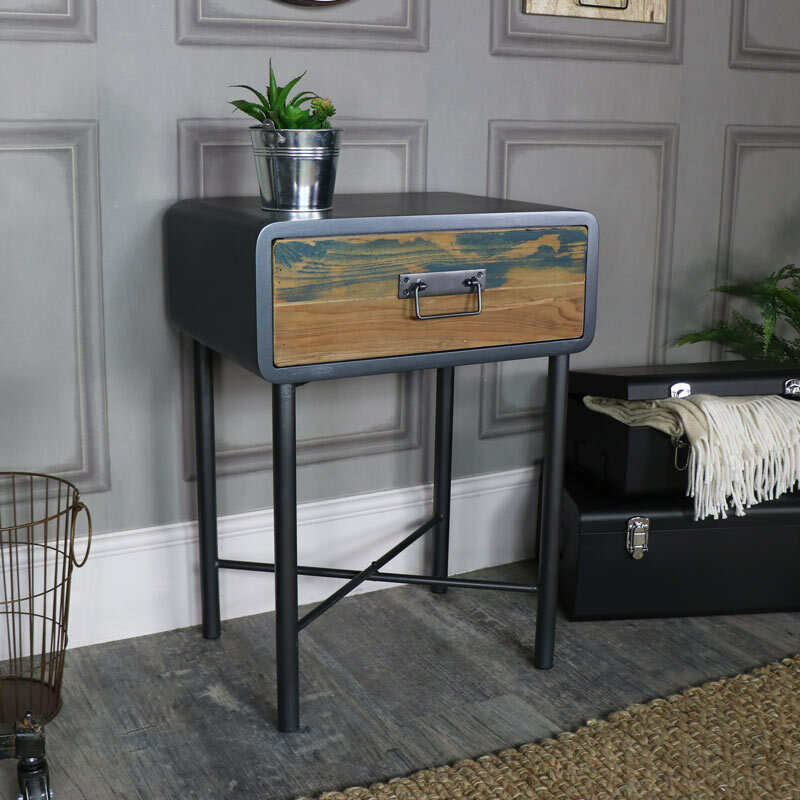 With a metal frame, and painted wooden drawer, this funky piece of bedroom furniture is the perfect storage solution for your vintage home. Featuring 1 drawer for storage, this table is stylish and incredibly practical. Perfect for the bedroom as a bedside table or in the living room as a lamp or side table. So many uses, the choice of where to home this delightful piece of furniture is all yours. 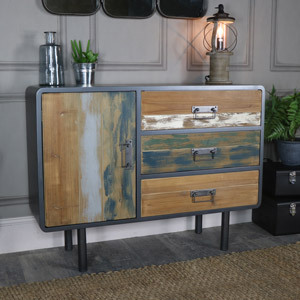 The frame is painted in a black finish with the drawer front is made from reclaimed wood which helps to give a weathered look that added with the stripped paint effect makes this range so unique. Some assembly is required which involves attaching the legs to the table top and the cross section for extra stability.